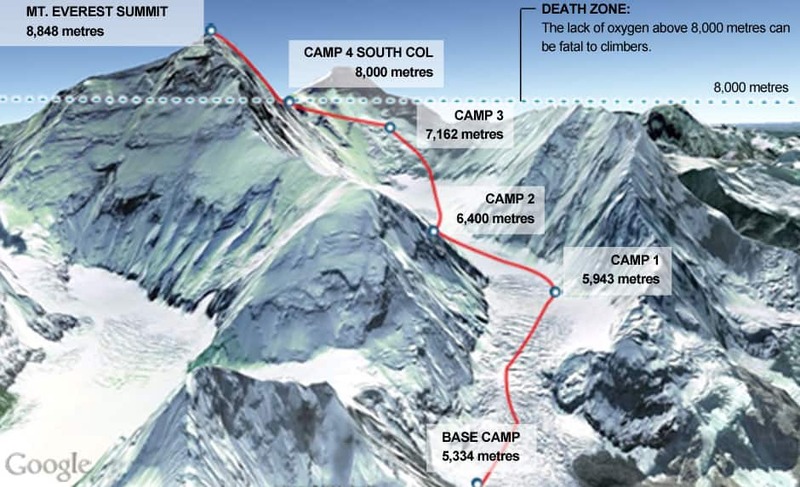 Four people died on Oct. 13 while on a guided tour of an off-limits area of Mount Everest. CBC News examines some of the key points and hazards faced by those who attempt to summit the world's highest mountain. The video below provides a bird's-eye view of one route up Mount Everest. The red grid towards the mountain's summit marks the "death zone," the point above the 8,000-metre mark, where the lack of oxygen can be fatal to climbers.